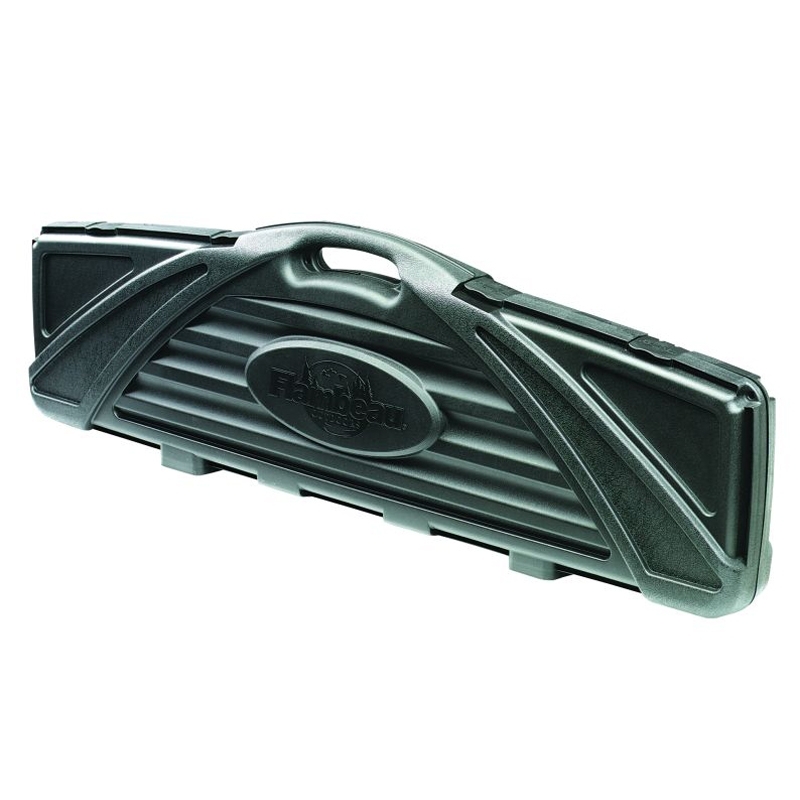 This oversized double rifle case will accommodate two scoped rifles. Beware, the inner depth is very shallow due to the heavy ribbing of the plastic moulding, external may be 4.5" at the thickest, but in reality the internal is under 3" in places. Having to return for refund, shame as its otherwise well made. Reasonable quality for the money - but beware its quite shallow.&nbsp;It was initially fine for my HW97k and scope, but after I upgraded the scope to one with a side-parallax turret, I can no longer properly close the case (it could close if I force it, but not without deforming the case and putting disconcerting pressure on the scope). This is even ensuring the rifle is positioned so the scope is at the deepest point.